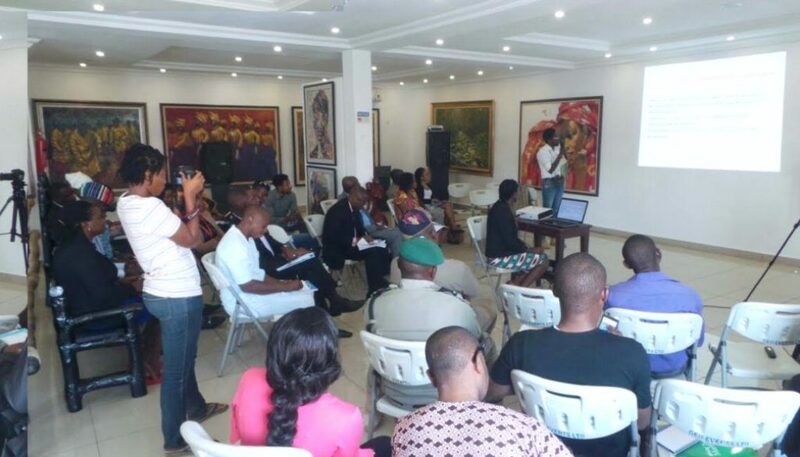 CODE participated in the Stakeholder Briefing on Primary Healthcare Centres (PHC) which was held on 29 November 2016 at Spice Platter Gallery, 18 Libreville Crescent, Wuse 2, Abuja. It was choreographed by the Public and Private Development Center (PPDC) and was a briefing on the findings from PHCs visited by PPDC and CODE, in 2016. PPDC on its part has been mobilizing procurement monitors to track and verify the performance of contracts awarded for projects such as PHCs across the country. This is with the aim of ensuring that public resources are been judiciously utilized in providing public services. CODE also through its Follow the Money initiative has been tracking government implementation of capital funds that are intended for local communities in health, education and environment. The stakeholders meeting then provided a platform for the two organizations to interact with relevant stakeholders drawn from the National Assembly, State Ministries of Health and several media agencies. The event featured a presentation by PPDC on their procurement and budget tracking works in local communities. In the event, the organization also presented its Budeshi online platform. The online platform is a dedicated site that links budget and procurement data to various public services. It is accessible to the public to interact with and make their own comparisons. This is in a bid to make information around public contracts and procurement process more coherent. Budeshi is also an attempt to demonstrate the Open Contracting Data Standards across the public procurement value chain. CODE on its part made a presentation on its monitoring of the implementation of capital funds for the rehabilitation of PHCs in Akwa Ibom, Enugu, Kano, Kogi, Osun, and Yobe states. Part of the funds include the $1.5 million health grant from the World Bank to each of the 36 Nigerian states & the FCT and N10.5 earmarked by NPHCDA for the rehabilitation of a PHC in Afia Nsit Urua Nko, Akwa Ibom State. The presentation also accentuated the fact that no sort of implementation is going on with respect to the funds and that governmental agencies are so lackadaisical in replying FOI Requests on further perspicacity on these funds. The concerned stakeholders such as the personnel from Oyo and Osun States’ Ministries of Health commented that most states have not accessed the World Bank Health Grant. This is contradictory to information that CODE has at this time which is that some states have gotten access. Moreover, our interest is on getting the costed work plan for the grant’s employment, as well as safeguarding citizen engagement on the usage of the fund – which all do not have anything to do with the technicalities of funds provision, assessment, receipt . . . The representative from Osun State Ministry of Health promised to provide the costed work plan of the $1.5 million usage in Osun State to CODE. We hope he does this, and that the State Ministries of Health put information on all the expenditure and intended projects in the public domain.